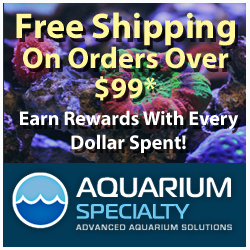 Tropic Marin has been making great aquarium products for many years, being best known for their salt mixes and coral dips. Over the past couple years, TM has released a couple of new salt mixes and have made changes to their already existing formulas in order to keep the product line fresh on an already competitive market. One of the newest innovations has been a new formula for the Tropic Marin Pro salt mix, which is supposed to prevent the salt from clumping together while still in the bucket. 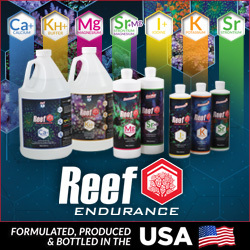 This new formula supposedly rolled out about a month ago, and it appears to be a common denominator in many recent aquarium mishaps. The afflicted hobbyists would later make the claim that after switching from the new TMP salt to a different brand, their problems went away. Personally, I would have written these mishaps off to poor aquarium husbandry by inexperienced aquarists. 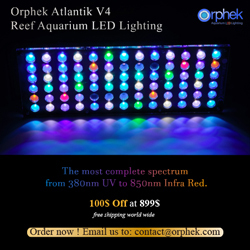 But given the fact that seasoned aquarium keepers who are highly regarded in the hobby are also experiencing these issues, it certainly raises many questions and concerns. A good friend of mine recently pointed out to me several posts on Reef Central in which aquarium hobbyists were losing massive amounts of livestock, mainly SPS colonies. In the typical fashion, the distressed hobbyist would post results of water parameters that they could test for, as well as what equipment and additives they were using. A few responding posters would refute the test results, claiming test kits had expired. Regardless of parameter results, the problems still existed, and the fact that each reef keeper used Tropic Marin Pro salt eventually came to light. After further exploring, I came across several other cases that were nearly identical. 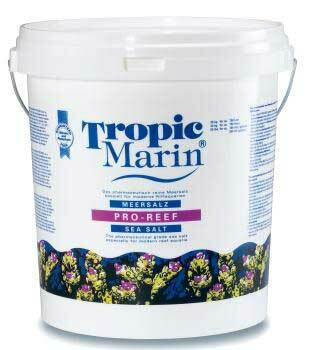 All this being said, Tropic Marin is known for their strict quality control and superb customer service. They still make great products, but somehow a problem was able to sneak by. We wish the best for the impacted reef tanks and Tropic Marin, and hopefully the problems with be identified and sorted out. Thanks Jason for the heads up! This is a highly unscientific post. Many seasoned reefkeeprs use TMP and have large SPS colonies and many large SPS colonies experience RTN in captivity. How many cases have occurred? I read the banter on RC too and am not alarmed yet. A poll may be in order but the results are already scewed. All we can say for certain is Atlanta was exceptionally hot this summer and Tropic Marin is using a higher quality calcium grade that may be more dehydrated. More information is needed before pointing fingers at one most reputable vendors in hobby. a few things…i never claimed anything to be scientific. this hobby is based on the experiences of others, along with a lot of pseudo-science. the article above is merely an informative piece explaining that some hobbyists have encountered problems with tropic marin salt recently. i am purely going off of hobbyists experiences and i've heard from first hand sources that this salt has caused them significant problems. another thing, i was never pointing fingers and trying to tear down tropic marin. in fact, i touted their strict quality control. but let's face it, on the occasion, great companies sell bad products. look at what happened with toyota. a great auto company that had a few bumps in the road. tropic marin is no different. they put out a salt that caused problems in a portion of their customer's aquariums. not everyone running the salt had these problems, but several people did. and more often than not you are going to hear people complaining.